London: Oil held gains after rising to the highest in more than four months in London as ongoing tensions in Libya added to concerns over supply. Brent futures added as much as 0.7 per cent, approaching $71 (Dh261) a barrel. Libya’s internationally-recognised government vowed to counterattack against forces loyal to strongman Khalifa Haftar which are trying to enter the capital Tripoli. Saudi Arabian Energy Minister Khalid Al-Falih also said in a Bloomberg TV interview that the Organisation of Petroleum Exporting Countries, which is cutting output, remains focused on bringing down inventories. Crude prices have continued to climb after their strongest quarter in almost a decade as Opec and its allies curb output while economic and political crises squeeze supplies from member nations Venezuela and Iran. An escalation of the conflict in Libya, which pumped 1.1 million barrels of crude a day last month, risks creating a supply shortfall. Brent for June settlement advanced as much as 0.7 per cent to $70.86 a barrel on the London-based ICE Futures Europe exchange, the highest since Nov. 12. The contract added 1.4 per cent to $70.34 on Friday, taking its weekly gain to 2.9 per cent. The global benchmark crude was at a premium of $7.28 to WTI for the same month. 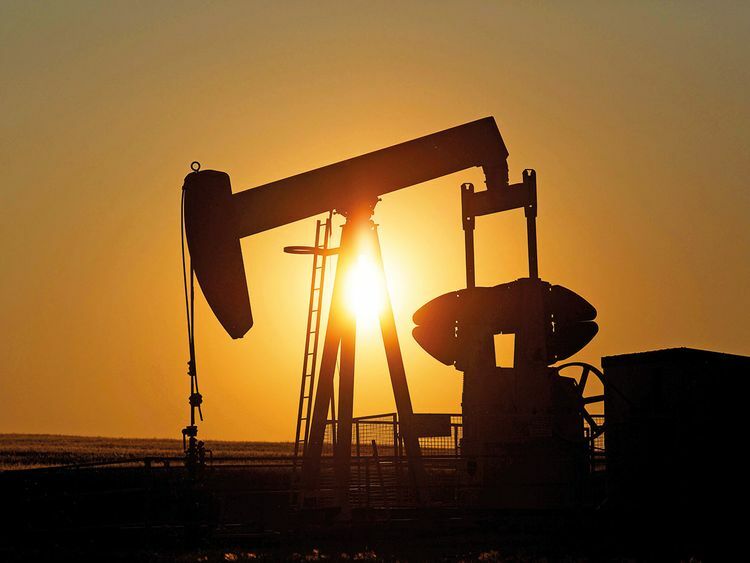 West Texas Intermediate for May delivery rose 35 cents, or 0.6 per cent, to $63.43 a barrel on the New York Mercantile Exchange as of 11:48am in London. Prices rose 1.6 per cent to settle at $63.08 on Friday, the highest closing level since Nov. 5. Fighting on the outskirts of Tripoli showed no signs of abating despite appeals for calm by global powers and the United Nations. While the latest conflict is south of Tripoli — away from most of the main oil ports and fields — the risks of disruption rise the more inflamed the tensions get. Western Libya is home to the Zawiya oil terminal, the export point for crude pumped from the country’s largest field, further south at Sharara. The structure of the futures market is reflecting supply uncertainty. WTI’s front-month prices rose to a premium, or backwardation, of as much as 4 cents a barrel to the contract four months ahead on Monday. They then flipped back into a discount, or contango. A spot price that’s higher than the forward price indicates tighter supply.